My love of babies began from a very early age. 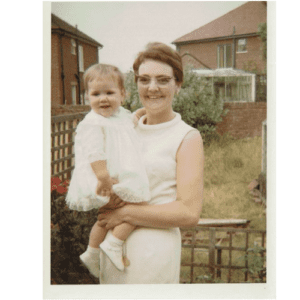 The middle daughter of five children with four brothers, my amazing mother fostered over a hundred new-born babies, then was a child minder for many more, and I was her helper, growing up playing with babies instead of dolls. 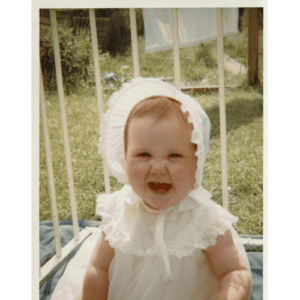 After leaving school, I got a Dip HE in Teacher Training but somehow felt that it wasn’t nurturing enough for either the children or myself, so re-trained with a BTec in Nursery Nursing, and then worked as a Nanny for a year before enrolling with an agency as a Maternity Nurse. I’d never heard of the job before but once the agency explained it, I gave it a go and realised immediately that I’d found my niche, I seem to have inherited my mothers love of babies and I have happily stayed a Maternity Nurse ever since. Always questioning and learning, I continuously update my knowledge with Career Development Training including courses on PND, Reflux and Allergy, Breastfeeding, Sleep Training and Paediatric First Aid. I also have a BSc in Wildlife Conservation which has provided useful insight into our evolutionary and social development, our biology, and has proven especially useful when trying to make sense of ‘latest research’ type articles, with the words ‘What is Your Source ? ?’ ringing in my ears, courtesy of my anthropology professor ! I have now spent over twenty five years, often working 24 hours, 6 days a week, supporting hundreds of families with new or young babies aged from newborn to six months, and sometimes older. I see my job as making myself totally dispensable by the time I leave, I’m not there to rescue parents…I’m there to guide and empower them. Living in their family home from a couple days to up to a few months, I support parents by giving them time to recover from the birth, helping with feeds and establishing a routine. I also help parents to discover how they wish to care for their baby, and offers advice on different parenting methods/styles that might suit them and their circumstances best. Over time I came to realize that a ‘one size fits all’ approach to babycare couldn’t possibly work when every baby, parent and family dynamic is different. 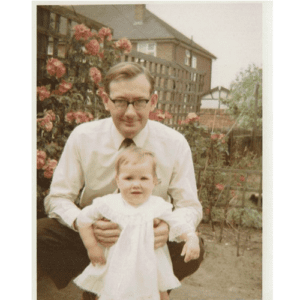 This realisation helped me evolve my own unique teaching methods, and has played a key role in inspiring me to share my experiences in my book ‘The Baby Detective’. My primary aim is to teach the parents as much as I can, ensure they are effective and competent, and to give them the confidence they need to enjoy their baby. My work has taken me all around the world, and has allowed me to work with many wonderful and interesting families, including celebrity parents such as Sienna Miller, Jade Parfitt, James and Jessica Purefoy and several member of the Guiness family. When I’m not working with babies I spend as much time as I can in my little black and white cottage in the Cheshire countryside which is a wonderful antidote to London, and is the perfect place to recharge my batteries, catch up on lost sleep, and do some writing (helped by my 3 cats !) I am lucky enough to have garden all the way around my cottage so I spend a lot of time outside redesigning and grubbing around in the earth, which goes some way to keeping me sane. 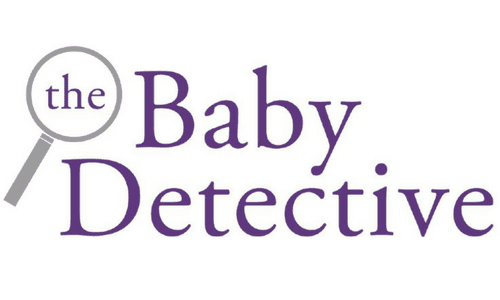 The Baby Detective book is out now, available at Amazon, Waterstones, and all good book shops.